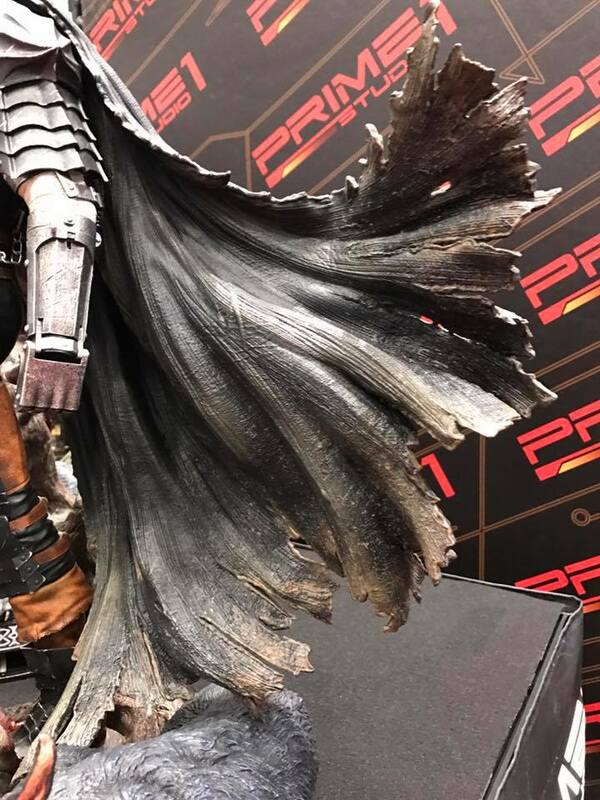 Now THAT is a berserk statue! Thanks for the share this is just simply amazing Will definitely be picking this up I can't wait to see what there doing for the rest of the series too! This looks absolutely stunning!!! 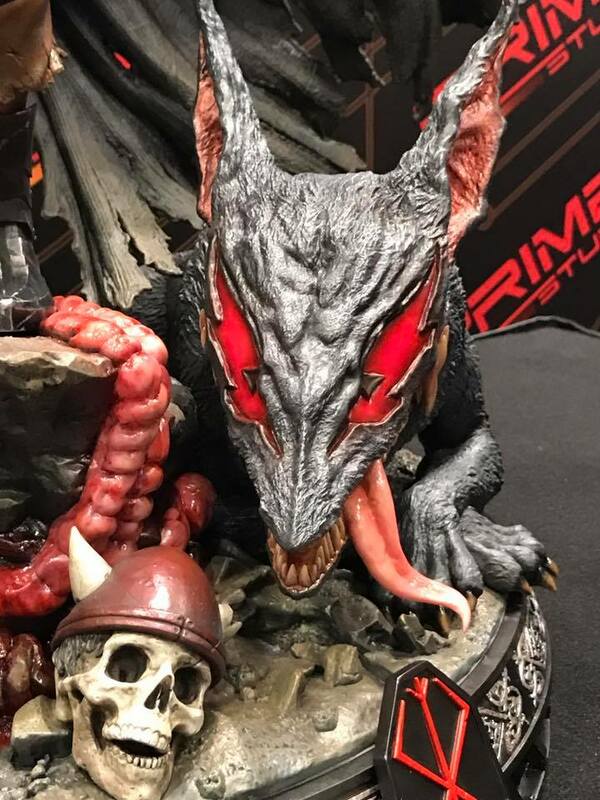 I'm terrified of the price tag on this puppy, but the day there's affordable Berserk merch is the day that hell freezes over. I love this, and if I win the lottery I would snag this in a heartbeat!! Looks great! Guts' head seems a bit small relative to his body though in some of those shots. That got me too. I felt like the head was a bit out of proportion to the body. Though it could be the photos. There is a video of him and I must say he looks even more impressive in video. Can't wait til it s in production. We also have F4F and Tsume Berserk offerings in 1/4 to look forward to. There is a company that got death note license in 1/4 as well I believe and I BET they will do berserk as well. Wel will be flooded with 1/4 Guts. So thrilled. A couple other gripes I have are the canon arm fist being flexed. Looks kinda weird to me. Also the lack of blood is a bit disturbing. Especially lazy blood app on the sword. But that said, this is the first time I've really enjoyed a non bloody Guts. I just fear the price. Soooooo beautiful. The likeness is fantastic. But the base and the details is what puts it over the top. But why make 2 variants! Don't make me buy both!! Hehe, but of the two, I prefer the left one, where Guts has his sword downwards. Well the right one is more epic though. UGH WHAT ARE THEY DOING TO ME?! And wow, after seeing the below video, you really get the sense of HOW MASSIVE this statue is. 1/4 and with such a large base. Truly a feast for the eyes. Although it does look awesome (I'll pick one up), it's actually Prime 1's most disappointing likeness so far compared to their other lines, but it's a very impressive statue. I can't wait to sell my kidneys for it. But why make 2 variants! Don't make me buy both!! Actually this is one statue with multiple switch outs so it can be displayed in a variety of ways. You will notice the base can be changed up as well. Puck is placed in different locations. Also there will be a third head that hasn't been shown yet. Price range will be around $750 I guess. Oh interesting!! Good to know! That makes life much easier then, haha. $750 would put AOW to shame, but I'm guessing it'll be around the $1000 mark. Yeah you are right $750 is a total dream considering that Geralt from witcher is 1/4 scale and priced at $770. Though I feel confident that Guts won't hit 1k. the base is comparable to the witcher statue. 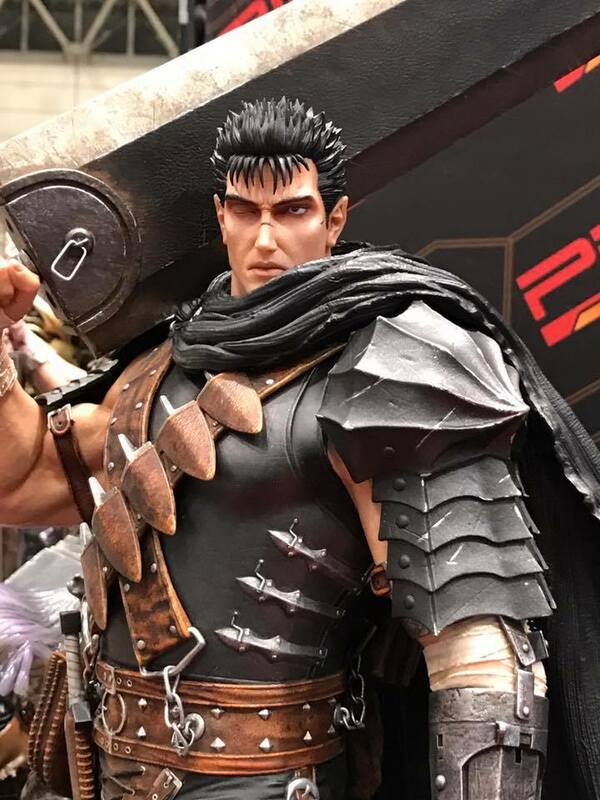 overall maybe more detail with Guts than witcher, so I can see it being around $8-850 especially with the trend of increasing retail prices... but I'd be shocked if much more. 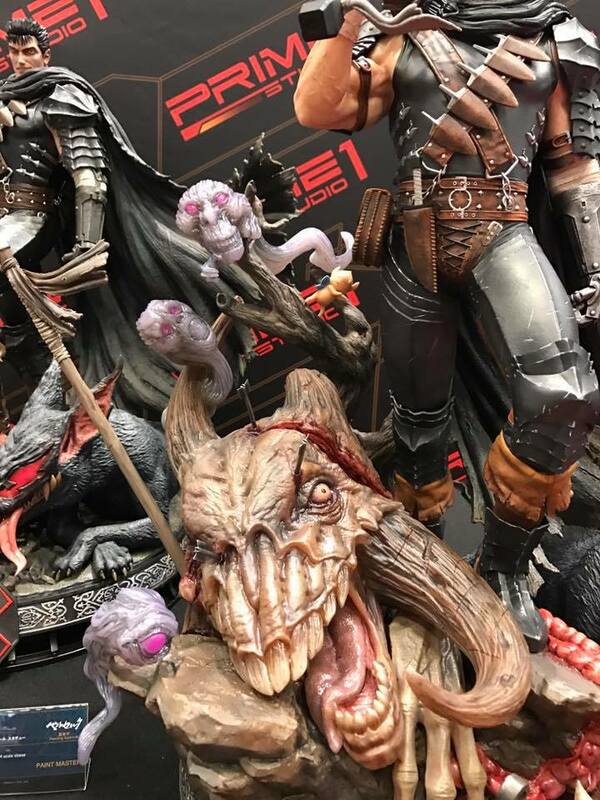 I'd easily pay $1000 for this....but IMO the painting doesn't look on par with AOW (but this is a prototype after all) and I'm not so sure the face is in the greatest "likeness" to Guts. Looking forward to this for sure, thanks for posting an update for this one. Damn. 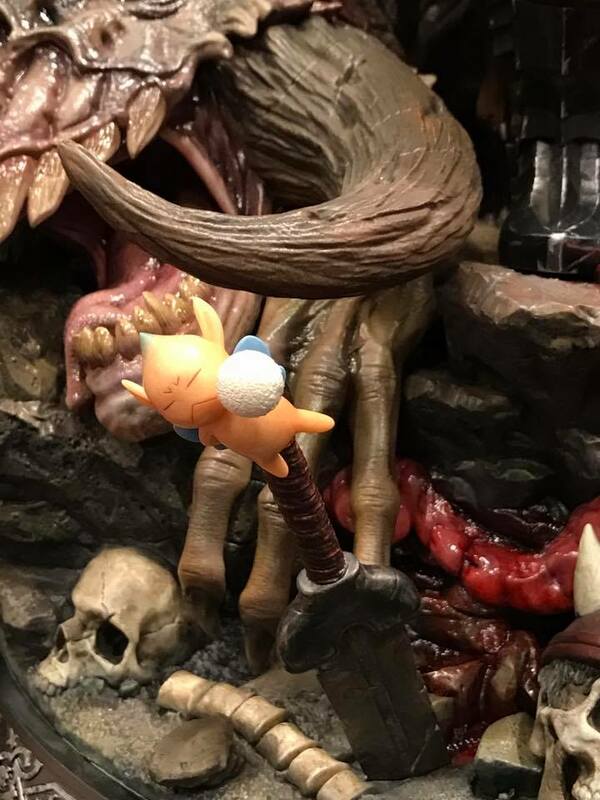 This is the first statue I feel I need to purchase. Love how much is going on. What would you estimate the size to be? I do agree the head seems small, but hopefully not as much as the pictures make it out to be. 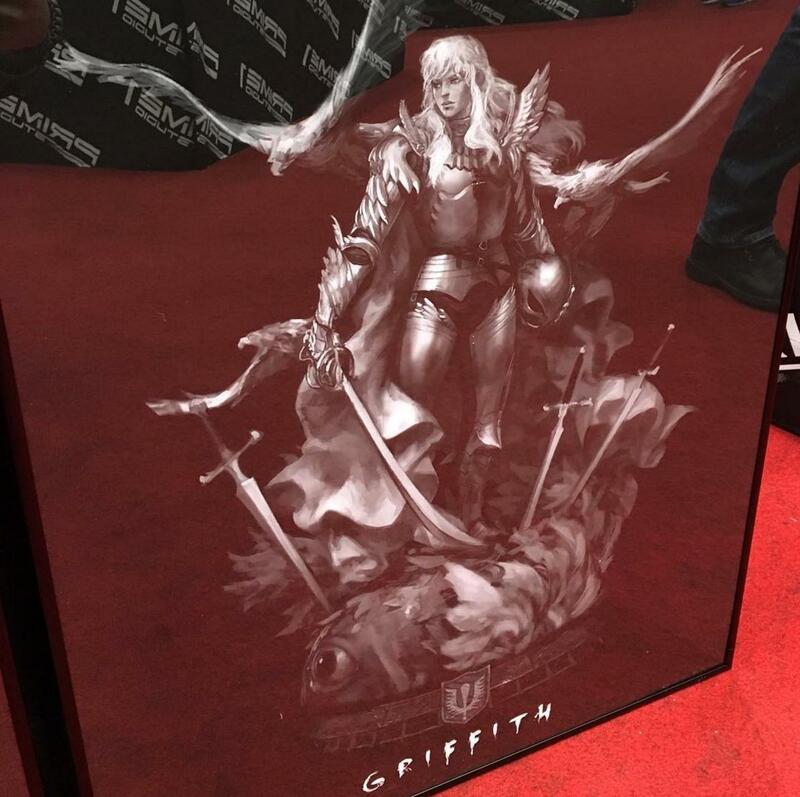 Their attention to detail is insane, that griffith art looks so damn good can't wait for the actual thing. 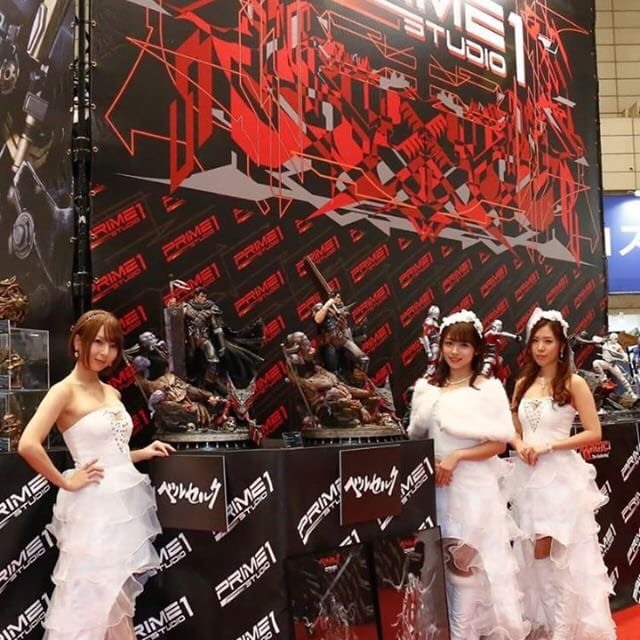 They've stated on there facebook page that the paintjob was a rush to get it ready for the show and that final release will have more weathering to guts armour as well as blood splatter! So this beast is going to look even better then what we're seeing! Pic for scale lol. 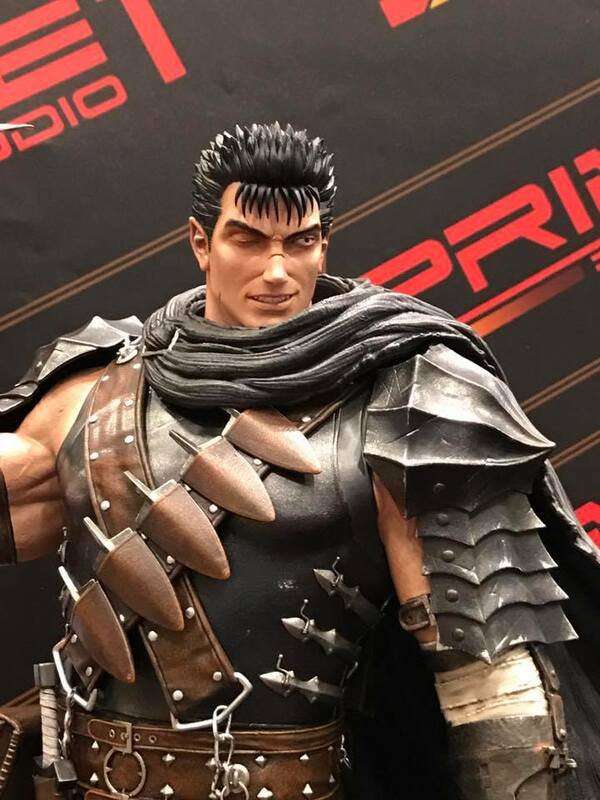 Is it just me, or does Guts' head look the right size in this pic? Nah it's still too small. I really hope they fix that in the final version.